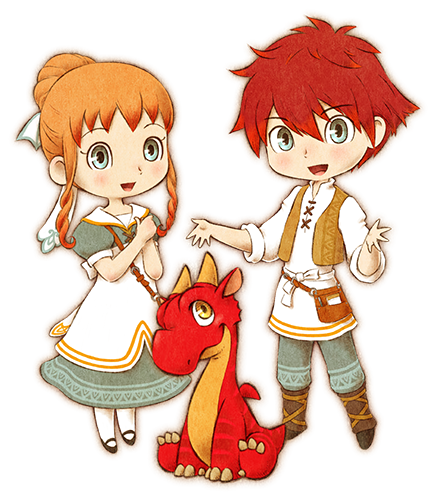 Aksys Games have announced that they will be publishing the latest game by Yasuhiro Wada, titled Little Dragons Café. The title will launching for both PS4 and Nintendo Switch in late summer 2018. The title stars two siblings as the dual protagonists of this adventure. They must raise a dragon in order to save their mother whom has fallen into a deep sleep. This title features life sim RPG gameplay that sounds similar to some of Wada’s previous titles. Torrance, Calif.– February 22, 2018 — Aksys Games is excited to announce that Little Dragons Café, the latest tour de’ force by renowned game designer Yasuhiro Wada will be coming to the Nintendo Switch™ and the PlayStation®4 system in late summer 2018! Wada is most well-known for creating the popular Bokujō Monogatari series (published under the names Harvest Moon and Story of Seasons outside of Japan) as well as Birthdays the Beginning. Over his twenty years in the game industry, he has also collaborated with other designers on titles such as Deadly Premonition. Grow Your Own – The tastiest dishes use the freshest ingredients, and the best way to insure that is to grow your own produce. Till the land and fish the rivers to gather the most flavorful fixings for your signature dishes.